We’ve all worked for “That Boss”, you know, the one that walks in and slams his or her office door with not even a simple hello or greeting. The “Boss” that’s quick to beat you over the head when something goes wrong. He or she jumps to conclusions without getting all the facts, and let’s face it; we’ve all made that mistake before. You swore you would NEVER become that person, but it is easy to get caught up in our daily duties and forget that our people are watching our every move. You don’t want to come across as unapproachable or even worse, arrogant. Recent research has shown that 86% of employees believe that they would be more productive if they liked their manager. Below are 6 simple steps that can be taken to become that likeable and more approachable manager. Take the time and say “Good Morning” to all your employees and ask them how their day is going. Walk through the drive and the shop. Remember, your words can be just what that employee needed to hear when their day started with a sick child at home, or got stuck in traffic on the way to work. Take a genuine interest in their lives. Some pretty amazing ideas have come from front-line employees, but if they feel you are unapproachable, these ideas may never surface. Though not all these ideas will be winners, be considerate and thank them for their input. Showing your employees that their opinions are important to you and the company is a great way to help keep your team happy and engaged. Remember, you’re the coach, the leader of your team. We expect all our employees to come to work with a positive attitude, so lead by example. Just as negative energy can rub off on others, so can positive energy. While negative emotions on your part tend to create negative outcomes in both your people and your organization, positive emotions help your employees open up to a universe of new options and alternatives. Be optimistic and genuine with the people working around you and they will be more likely to react in the same way, making the workplace a healthy and more constructive place to be. Everyone wants to know how they are performing. It’s just as important to look for what your employees are doing right as wrong. Give positive feedback as well as constructive criticism. How about that difficult customer that one of your Service Advisors handled with ease? Or that intermittent electrical problem that your Technician spent hours trying to find? It’s important for your whole team to know that you will stand beside them in good times and bad. Look for different ways to reward a job well done. We are all human beings and subconsciously seek praise for a job well done. Try to see yourself through your employees’ eyes. Are you someone you would like? Put yourself in their shoes and have compassion for their trials and tribulations as well as their accomplishments and victories. Having (and showing) true compassion for your employees may take effort on your part, but the results will be well worth it. Your people will respect you as a leader, and they will find you more likeable, increasing their loyalty and effectiveness as a result. Hold regular meetings with the entire staff and review any policy or procedural changes that have been made. You don’t want any member of your team wondering why no one told them that some change has taken place. 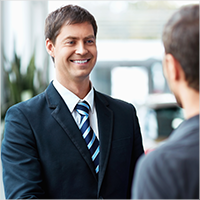 Introduce new employees to your team and the entire dealership. Highlight any accomplishments or concerns that you or your staff has brought forth. They may already have come up with a solution. We have all made mistakes throughout our career as managers. What separates the “Good Ones” from the “Bad Ones” is their passion for their team and its success!